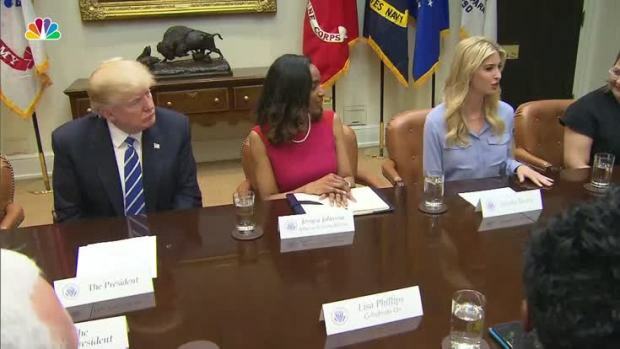 "I really liked how she was speaking into that microphone," he said while hosting "The Five"
In this March 17, 2017 file photo, Ivanka Trump enters the East Room of the White House. Trump was recently booed while defending her father's attitude toward women, and Fox News host Jesse Watters defended her on "The Five." He received criticism for adding that he "really liked how she was speaking into that microphone." 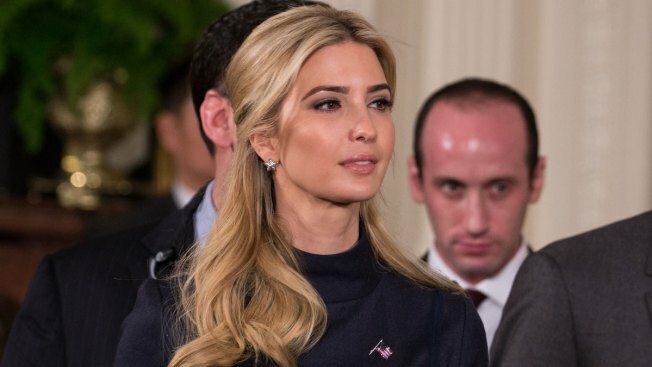 Fox News host Jesse Watters says he enjoys Ivanka Trump's voice and wasn't making a joke "about anything else" when he mentioned that he liked the way she held a microphone. Watters made the comment while hosting "The Five" on Fox News Channel on Tuesday. On Thursday, NBC News reported that Watters would be on vacation until Monday. Watter criticized people booing Trump as she defended her father's attitude toward women while holding a microphone on stage at an event in Germany. Then he added: "I really liked how she was speaking into that microphone." The moment sparked online criticism from MSNBC's Mika Brzezinski and New York Post columnist John Podhoretz. Watters explained on Twitter , "On air I was referring to Ivanka's voice and how it resonates like a smooth jazz radio DJ. This was in no way a joke about anything else."